Here is a quick and simple card that I made a couple of weeks ago. I had this Memory Box die and wanted to do an inlay of it. I first cut out the white base with the Spellbinders Majestic Squares, then laid the card stock on the edge of the cutting platform where I wanted the die of the flowers to stop cutting and cut the flowers. Then I cut another flower with 2 1/2" Tear-ific Tape layed on cardstock and cut it to the length to fit the square. I peeled off the release paper on the tape and covered it with Pixie Violet Velvet Glitter. I'm really liking all the different ways you can inlay with the dies these days. 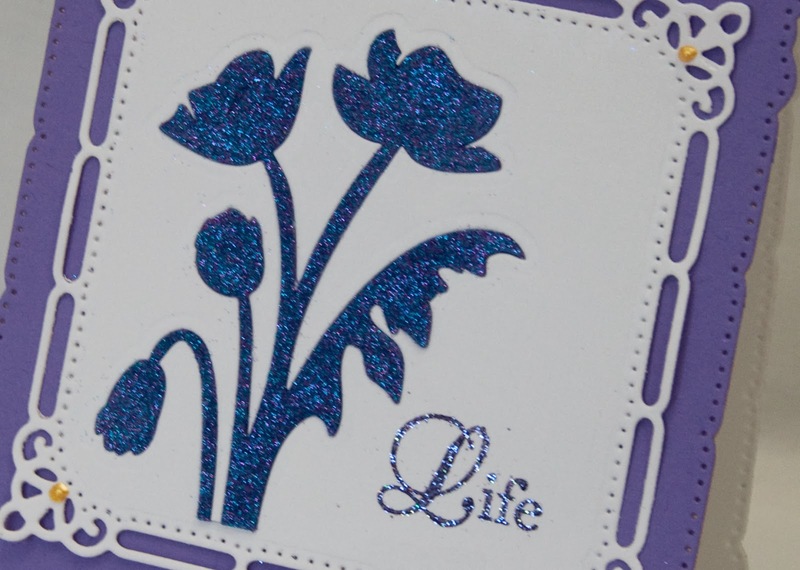 The corners have a dot of Daffodil Liquid Pearls on them. 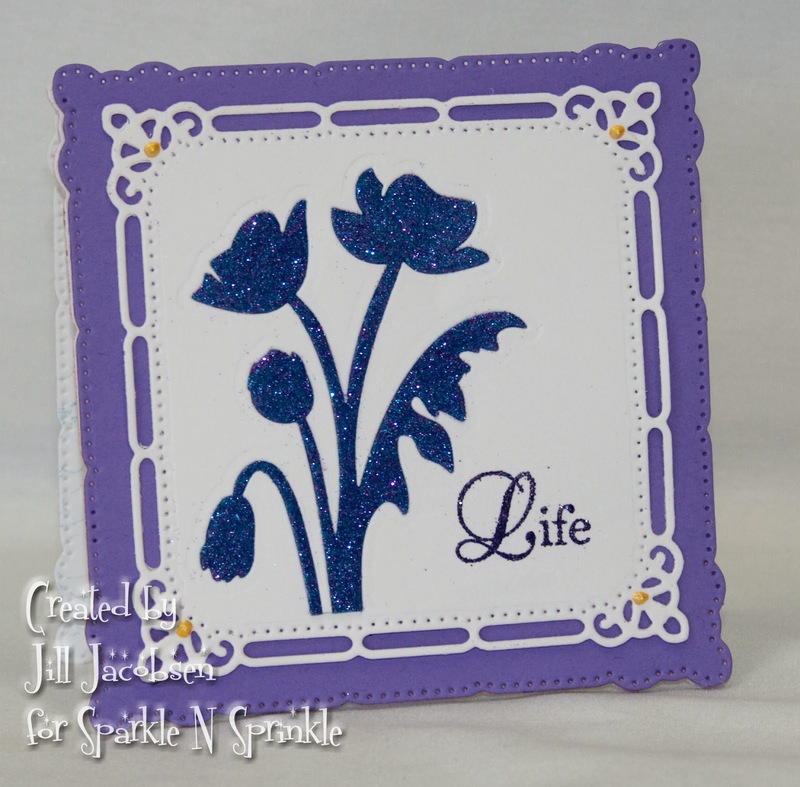 The sentiment is from Flourishes 1 and embossed with Concord Star EP. Simple but elegant:) Thanks for stopping by!